< Previous Shameless Plugs! Comic-Con Edition! If the timing was not so appropriate, I would have much preferred your original title for the post. Are these the only two Wrath of Khan posts? Do I get to see Chekov in his spacesuit? I love the movie related sketch posts! I love this sketch. 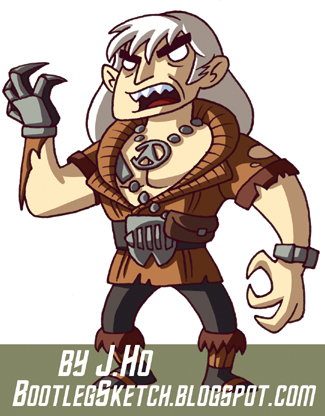 Man Wrath of KHAN! was one of my favorite Star Trek Movies..
gavin: no more “wrath of khan” posts on my mind just now, but i think it would be reasonable to expect more star trek movie-related posts here. glad you’re diggin these!